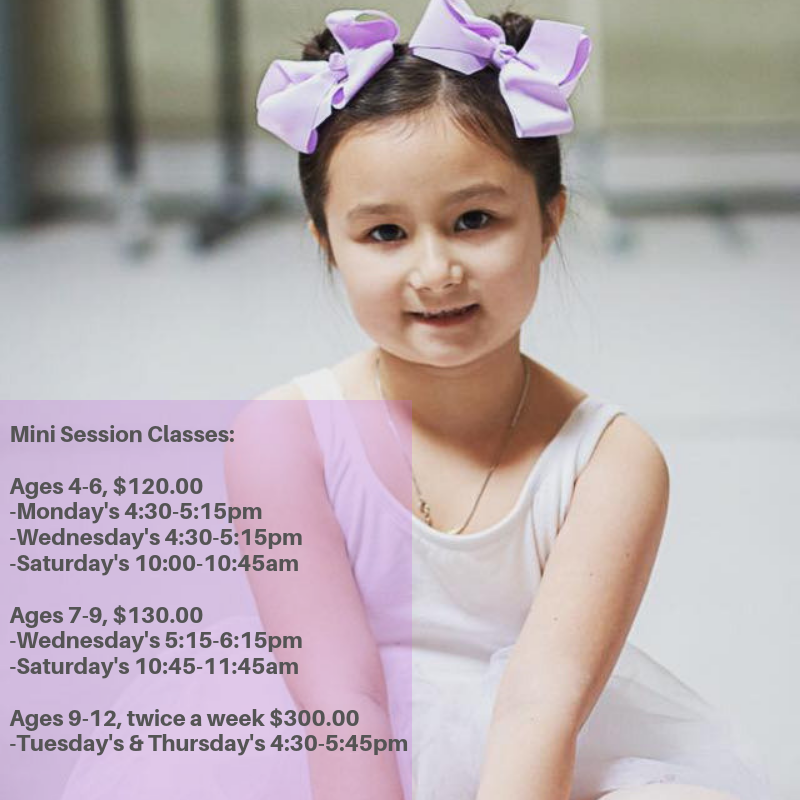 Join us for our next mini-semester of ballet classes! A perfect opportunity for new students to "test their toes" in ballet class! And for current students to continue on doing what they love...DANCE! We'll hold a last day of class showing followed by a small reception of cake and drinks to celebrate a job well done!! or give us a call to register over the phone, (413) 478-1944.